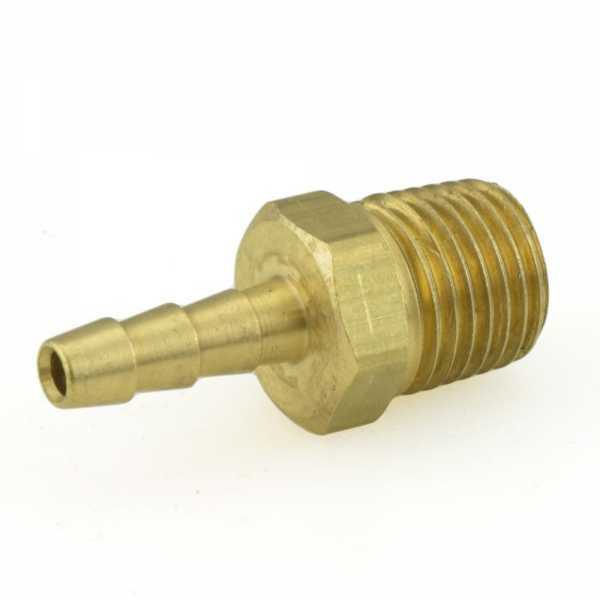 The HB-AM-23 from Everhot is a 3/16” Hose Barb x 1/4” Male Threaded Brass Adapter. It connects 3/16" ID hose (vinyl, PVC, rubber, etc.) to a 1/4" female threaded fitting or outlet. Can be secured using worm-gear or cinch (pinch) steel clamps from Oetiker, Ideal and other brands.